The start of a new year is always a time of simultaneously looking forward and backward. So this is a summary of my 2011 and some things to look forward to in 2012. I recovered from a foot injury at the tail end of 2010 in time start my marathon training in January. It took a while to build form, but my form returned and I got into what I considered to be PB shape. 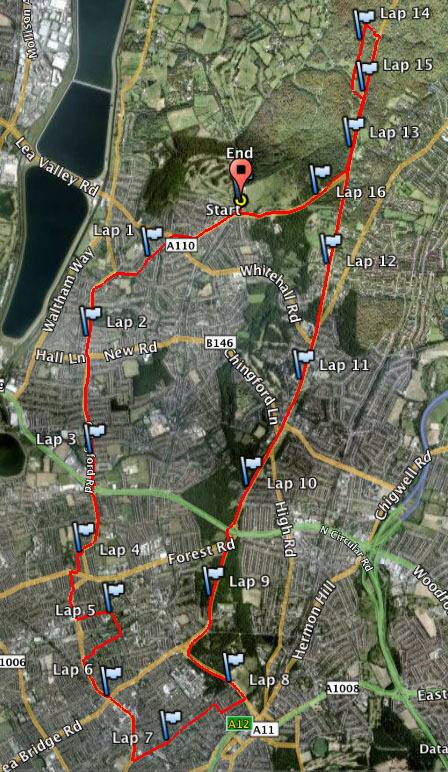 Not the course of the Waltham Forest Half-marathon. Note there are cows everywhere. My pre-marathon build-up race went badly wrong. I was on track to finish in a PB of around 1:23, but there was a problem with the marshaling and a few of us ended up running a few extra miles as we missed one of the turns on the course. Disappointing, but I’d run strongly. The remainder of my build-up and then taper went well until the last week before the marathon. At which point I felt a cold coming on, and despite doing everything I could to shake it off, I wasn’t at full health on marathon day. The Virgin London Marathon itself was hot. I knocked out the first mile or two too fast and spent the rest of the race getting progressively slower. The niggles of a burgeoning cold are one thing, but never underestimate how much of a marathon is run in your head. I finished in a good-for-age time, but disappointed with how the race had gone. There then followed several races over the summer months where I came within seconds of my PBs, but just didn’t seem to be able to break through them. I had reached a plateau and had lost some of my racing confidence. With the Royal Parks Half-marathon on the horizon, I tried something a bit different. I normally keep a close eye on my pace in training, but instead I left my Garmin at home and opted for a simple stop watch. 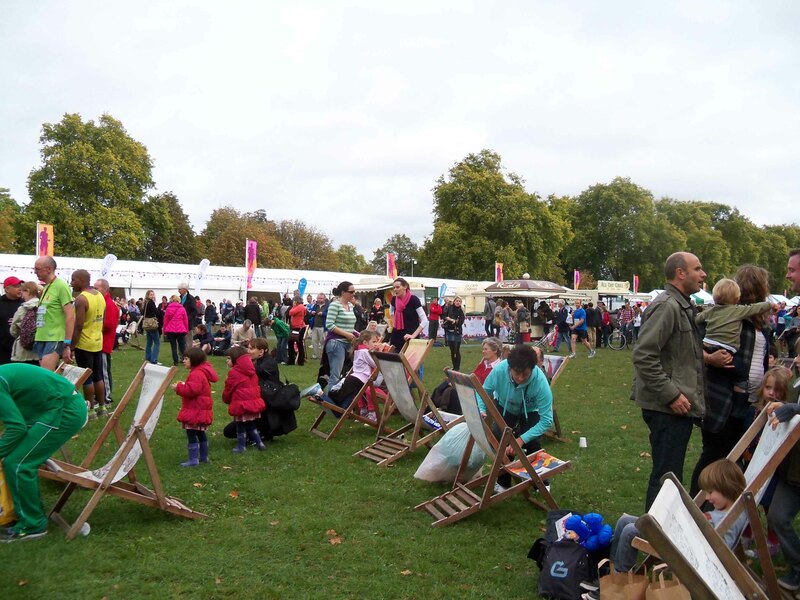 I ran an unmeasured circuit around Regent’s Park, then tried to cover the same distance again in the same time or less. The half-marathon itself went well, particularly as I’d started focusing on how I felt rather than whether a split was too fast or too slow. Every few miles I’d remind myself that I was feeling good and maintain the effort. I finished in 1:21:53, knocking a good couple of minutes off my PB. Winter came and I found a way to focus on building my base fitness. So, while at the same time the previous year I was off running through the time and effort required to move to London and a foot injury, this year I’ve clocked up to 80 miles in a week. 2012 holds two marathons – London and Edinburgh – with the Silverstone Half-marathon as a build-up race. The first quarter of the year will be focused on building distance and speed, then recovering and maintaining between the two marathons, but then I’m going to need a running project post-May. Perhaps a winter half? Go for a 10k or 5k time to mix things up? Having had a tough 2011, I’m looking forward to seeing what 2012 brings. It could be a great year.